It’s always exciting to see new enterprises starting up on Hvar, especially when they fill a niche that frankly, does need filling! 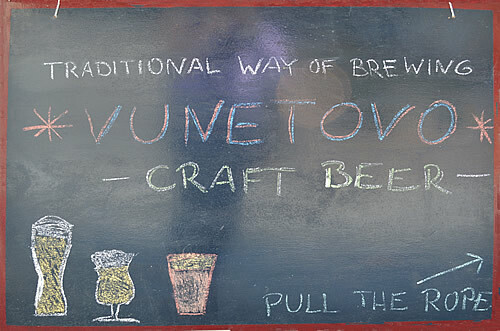 That’s the case with Vunetovo Craft Beer, the first microbrewery on the island. Obviously, when we heard about it from Total Hvar, we just had to rush over there and support them! 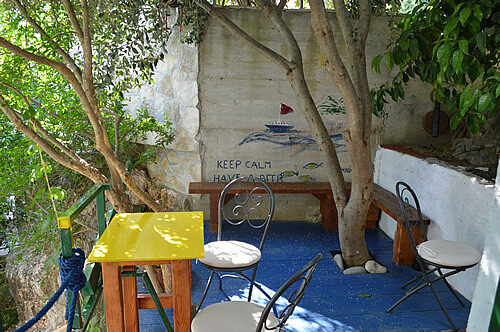 Tucked away in a quiet street in the west end of Hvar town, the building is not that easy to find. It’s best if you simply follow signs through the tunnel for Hotel Podstine, which is literally across the street. Or you can trust Google Maps, and yes, that sharp turn into the narrow lane really is correct. 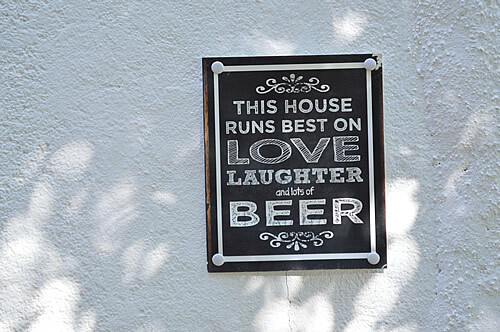 The brewery is in the top part of their house, the entrance to which is actually down a flight of steps from the road – pull the rope to ring the bell! 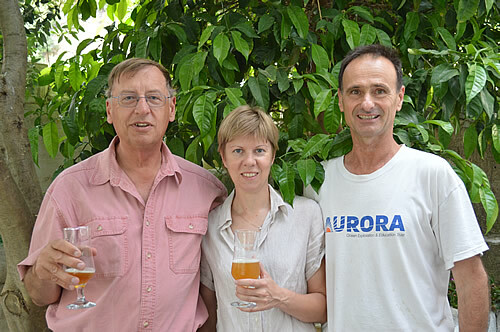 The single-room brewery has been augmented with a terrace, which is their tasting room. It’s lovely and shady, with chairs and brightly coloured tables. 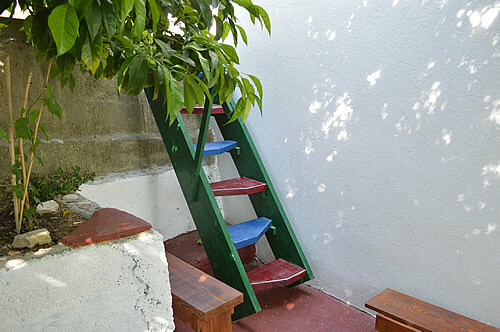 Even the steps here are handcrafted and painted. It feels very welcoming and intimate. Our hosts are Anna and Joško, a lovely couple. She’s the brewmaster, while he’s the carpenter. Anna actually comes from Poland, which is, of course, known for its strong tradition in brewing beers. They opened their brewery on Hvar just about a year ago. 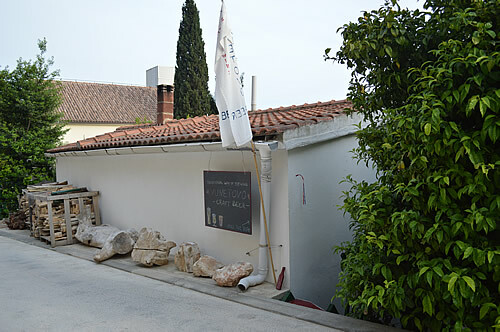 According to winemaker Andro Tomić, the Greeks used to grow wheat on the ager for making ale, so beer is actually a tradition here. In that case, it’s about time to revive it! Anna experimented with several different styles and flavours, before coming up with the selection that they currently produce. She likes her beers to have a local connection, so there are subtle flavours of island herbs and other ingredients from their garden. Their wheat beers weren’t available for tasting on the day we visited, still brewing away in the tank. 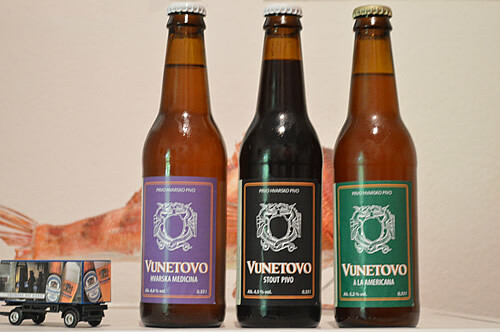 Vunetovo make two wheat beers, one light and one dark. Have to go back some other day for those! There was a nice ale, sort of a cross between a German Export and an English Mild out of the tank. Of the currently bottled beers, I tried the light Hvarska Medicina, and the more hoppy A La Americana. 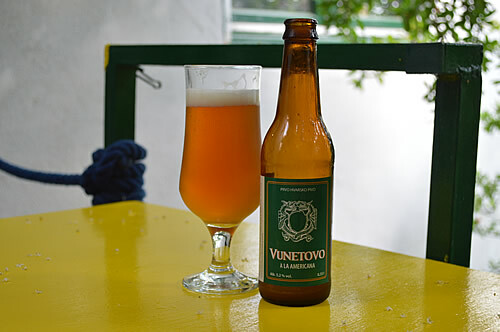 The Hvarska Medicina is a light ale with island herbs such as rosemary, sage, carob and a few others. The herbs are only added to the brew for the same length of time as for making tea – two minutes – otherwise the final product ends up way too aromatic. What a lovely brew! A La Americana is in the style of a Pale Ale, a little more bitter with American hops, a gesture towards american pale ale though not as bitter, plus bitter orange peel from their garden. It’s fresh, and not heavy – very drinkable! Floral on nose with American hops, lemon and lime. 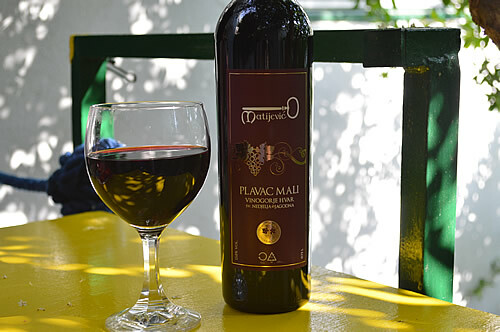 Now Herself does not drink beer, so she was offered a nice glass of Hvar wine instead! A winemaker we have not encountered before, but very promising. We took a few bottles home with us to try later. This is a fantastic little brewery and it was very pleasant to sit and chat with our hosts. Do not miss Joško’s woodwork and wooden sculpture throughout the house! 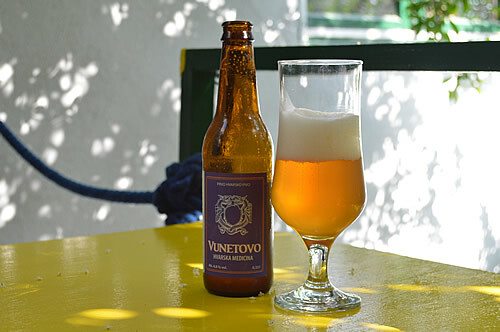 Vunetovo beer is beginning to be available through other outlets on the island and elsewhere, but there’s also a growing number of beer lovers finding their way to this shady terrace. Definitely worth a visit!